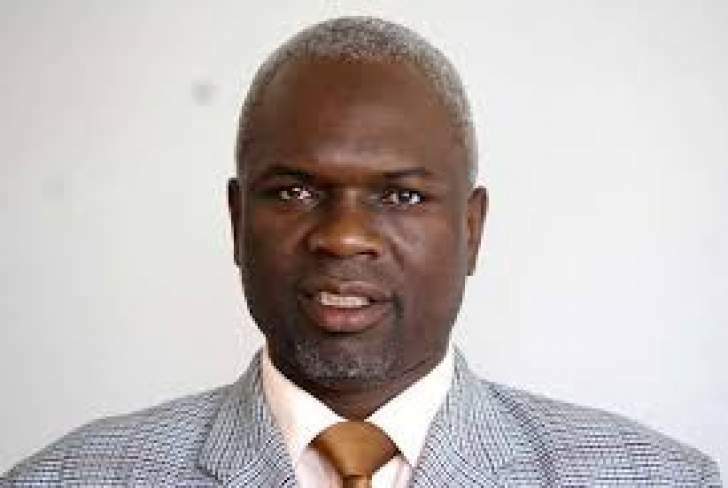 Sport ZIFA presidential aspirant Felton Kamambo has declared himself eligible to challenge the incumbent Philip Chiyangwa for the top football post following the failure by the Zifa appeals committee to determine his appeal within the stipulated time. Kamambo recently appealed against the decision by Zifa's electoral committee to reject his nomination papers based on allegations by the incumbent Zifa leadership that he is serving a suspension from all football activities. Zifa claims they suspended Kamambo in March after he had tendered his resignation letter, citing expiry of his term of office. The former Central Region chairman challenged Zifa to prove their claims in his appeal papers. After failing to get a response from the Justice Moses Chinhengo-led Zifa appeals committee, Kamambo on Friday wrote to the ad hoc committee notifying it of the consequences of its non-action. In the letter which is also copied to world football governing body Fifa and the Confederation of African Football (CAF), Kamambo said he had lodged his appeal in line with all football statutes governing appeals. "I noted an appeal on the 8th of November 2018 against the decision of the Zifa electoral committee in accordance with the Zifa statutes and more in particular the Zifa Electoral Code Section 12(2). Again in accordance with the Zifa Electoral Code, Section 12(3), the appeal must have been disposed of within four days from the date of receipt," Kamambo said. "The four-day period has since lapsed and I have not received any communication from the appeals committee neither was I called for the appeal hearing." Kamambo said the "the failure by the appeals committee, to determine my appeal within the requisite four-day period means that my appeal succeeds rendering me eligible to contest in the Zifa election for the position of Zifa president." "It is trite that the noting of an appeal has the effect of suspending the decision appealed against. Accordingly the decision of the electoral committee remains suspended." He added: "In the spirit of putting finality to this matter, I hereby demand that you do within 48 hours of receipt of this letter, adjudicate or to respond to my appeal. Your failure to respond within this stipulated time will be taken as an acknowledgement that my alleged disqualification is without merit and ought to be disregarded by the electoral committee with contempt it deserves." The move by Kamambo comes amid stunning revelations that the appeals committee set up to handle grievances by aspiring candidates ahead of the December 1 Zifa board elections was yet to be furnished with its terms of reference. In a leaked email to the Zifa leadership, Chinhengo confirmed to have received the appeals of both Kamambo and former Zifa Southern Region chairman Gift Banda. Banda wants to challenge the incumbent Omega Sibanda for the post of Zifa vice-president. While admitting that his acceptance to chair the appeals committee still stood, Chinhengo, however, questioned why Zifa had been silent on his terms of engagement. "I am writing this email to the concerned authority to advise that on November 7 and 12, I received notices of appeal from Mr Gift Banda and Mr Felton Kamambo. The last time anyone talked to me about the appointment to the Zifa appeals committee I accepted the invitation." He added: "Although my acceptance stands, no one has talked to me about the terms of engagement or any matter since that time. Until I received the appeal notices, I was under the impression that my services were no longer required."